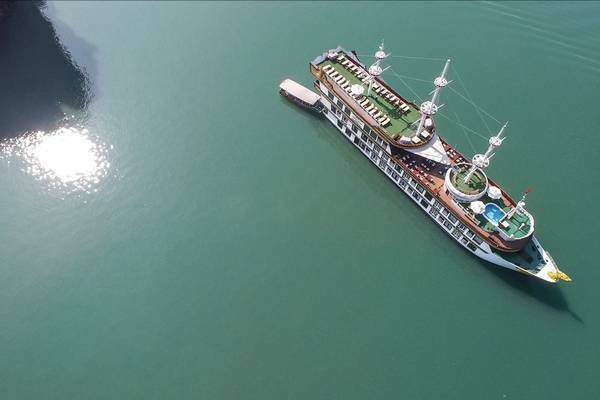 Embark on Dragon Legend Cruise and be captivated by the landscape of Bai Tu Long Bay, admire the distinguished World Natural Heritage site and experience a fulfilling voyage you will want to tell others about. 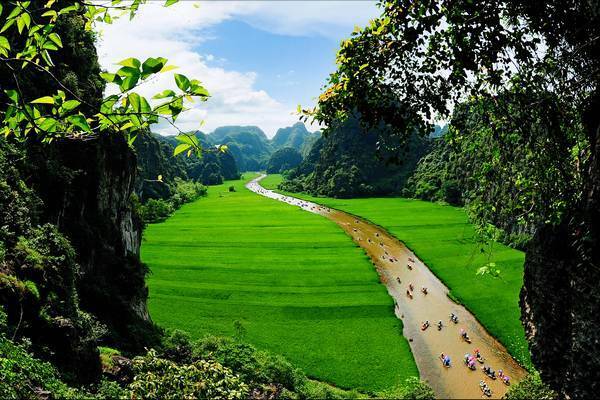 The distance between Hanoi and Halong Bay is approximately 170 kilometers, which makes this UNESCO world heritage site becomes accessible. 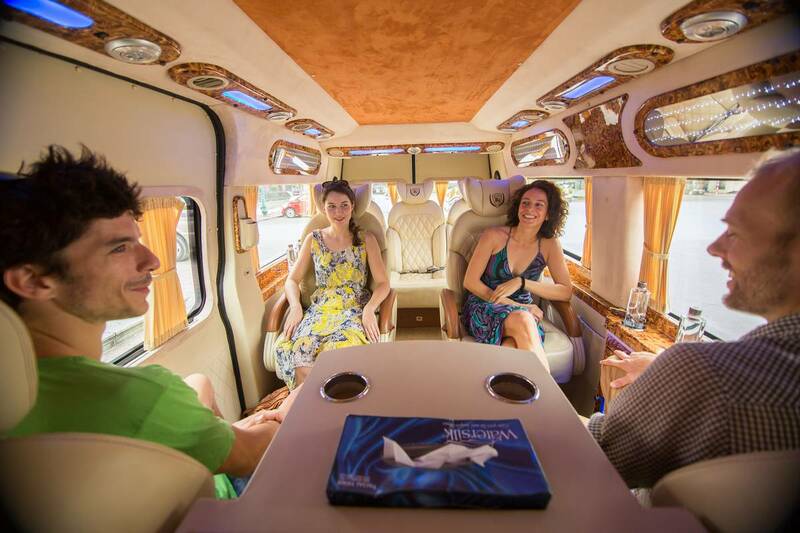 Our luxury van is a minivan which is designed for 16 people and is happy to be filled in with a maximum of 7 passengers to maximize your comfort on driving. The interior is changed with our design for a premium transfer. It is well equipped with drinks and mini bar, air conditioner, free WiFi connection, USB charging ports, seat belts, larger and more comfortable seats which are specially designed for the couple traveling together. It is a perfect solution for those who want to get closer to limestone islands and to discover the bay’s beauty by themselves. You cannot imagine how interesting that would be when paddling around the open ocean to explore every small corner of the bay. The temperate weather and calm sea water in Ha Long Bay are extremely suitable for kayaking. Included in your Dragon Legend cruise, under the knowledgeable guide, you will learn how to use kayak solo or how to make it with your partner. 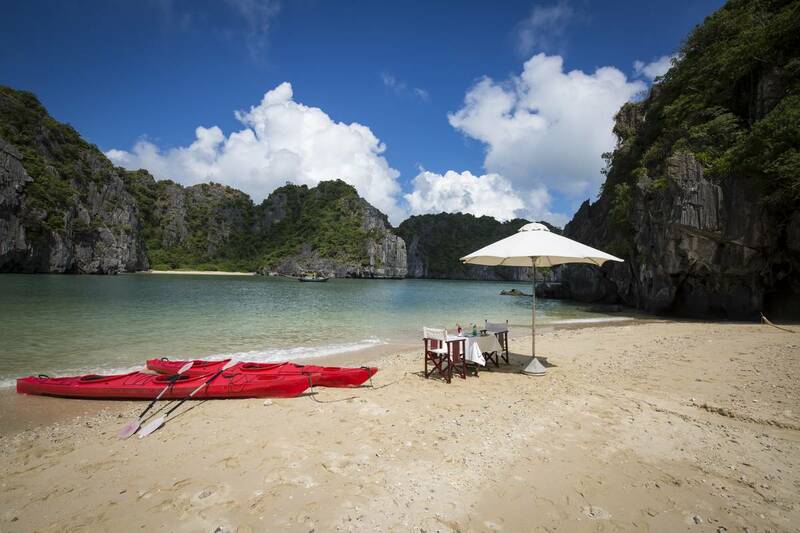 Then the next hour is your free time in kayaks to explore less visited parts of Bai Tu Long Bay and take part in a discovery campaign of nature. Paddling around small islets, within touching distance to the karst formations of the Bay, visiting hidden lagoons and unspoiled beaches, is an amazing experience we look forward to sharing with you. There is no doubt that it must be one of your most memorable gastronomic experiences! With a wide variety of fresh seafood, meat dishes, as well as some crunchy salads, such as baked king prawns, roasted chicken, grilled beef rump and so on, we promise a delicious and exceptional meal in the bay of islands. Imagine feasting on a tasty BBQ meal and sipping some perfect cups of wine or cocktail with your family members, surrounded by the sea, green small islets and white sands. It is too hard to resist, isn’t it? 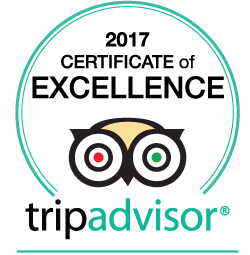 Everything will be well handled under the eyes of our meticulous manager and helpful crew members. 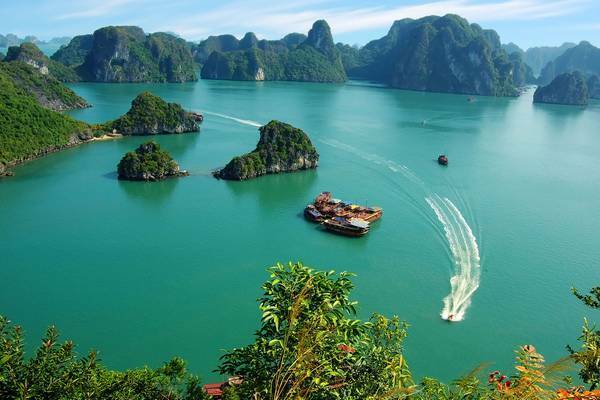 We are sure that it would be the most amazing experience for your trip to Halong Bay – the World Heritage Site. This BBQ on the beach is offered and included in 3 day 2 night cruise on our luxury Dragon Legend, if the weather is fine enough to make it. Guess that you would be regretted if you missed this opportunity. Halong Bay is home to many caves while cruising to discover Bai Tu Long Bay you will explore a marvelous thousand-year old Thien Canh Son cave on Paradise Island. The cave is accessible by small boat to the island then climb up more than 100 steps to get such a breathtaking view of Halong Bay on a higher ground. 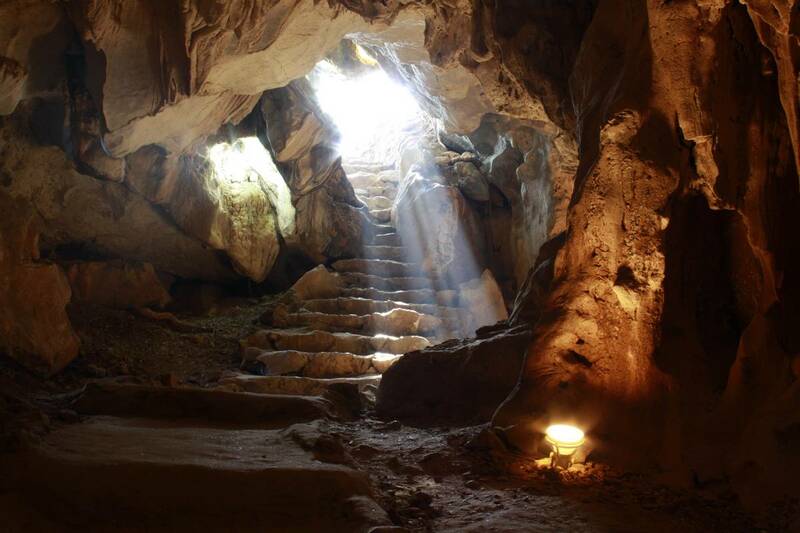 The exploration continues by following a narrow path, get inside the cave and see the marvelous natural beauty of various stalagmite and stalactite formation. The cave if fully explored within one hour and worth visiting. Floating village is one of the most special attractions of Halong Bay that you will find both beauties of nature and cultural features. 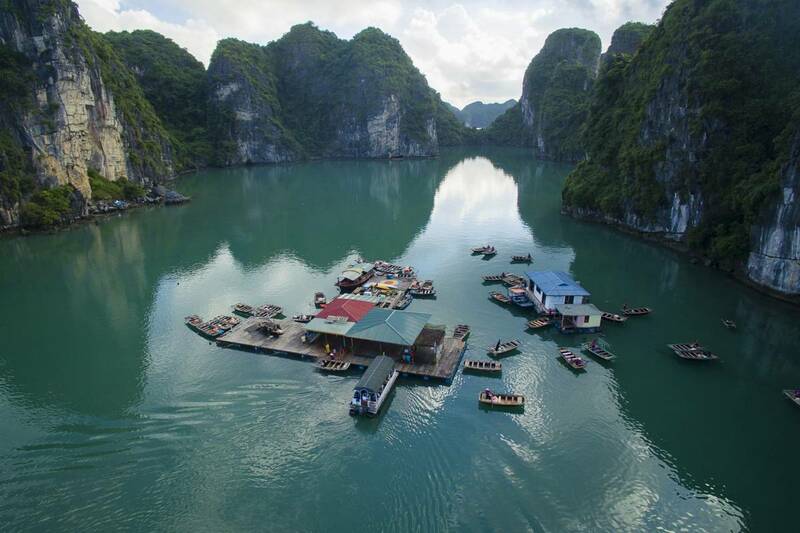 Added to the whole fascinating wonder of Halong Bay, the floating village is a true water world, with many floating houses rising and falling with the tides, sheltered amidst limestone islands. 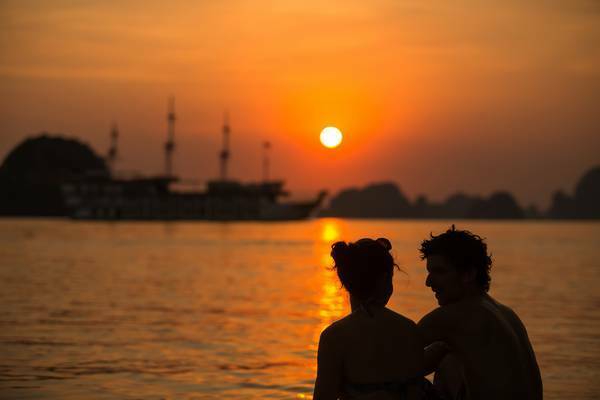 Dragon Legend offers a cruise to visit Vung Vieng floating fishing village – one of the biggest and most beautiful fishing village on Halong Bay. 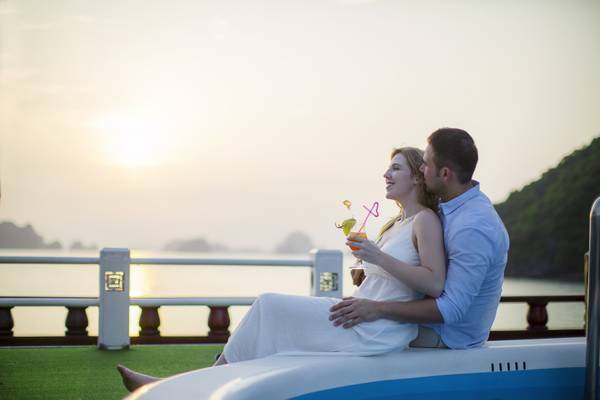 It is located in the heart of Bai Tu Long Bay, 24 kilometers from the mainland. 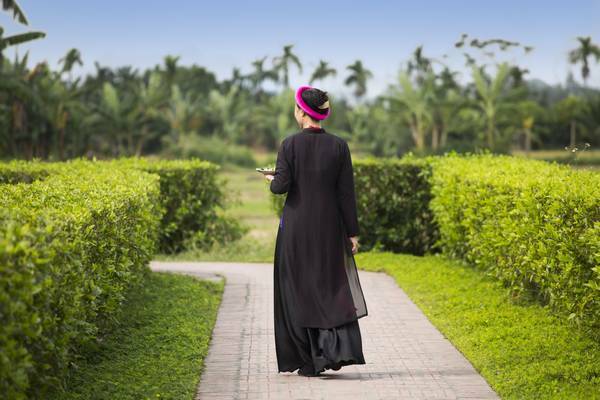 Vietnamese cuisine is world-renowned for its fresh ingredients, abundance of herbs and vegetables andminimal use of oil for a healthy balance. From the North to the South, cuisine is a cultural feature that you will remember as an important part of your trip in Vietnam and we are delighted to contribute to your flavor experience. On our Dragon Legend, you will be served with delicious and healthyVietnamese dishes made from fresh seafood, meat, vegetables, herbs and a selective use of spices. Our chefs take great pride in preparing irresistible Vietnamese specialties with tempting presentations that typify our style and culture. Prepared with care, our Vietnamese recipes reveal an appreciation of family cultural traditions and strong community connections. You can also know more about Vietnamese customs through learning how use chopsticks served with rice and a lot of tasty dishes. If you have any special diet or any Western foods requirement, our staff will handle it carefully. 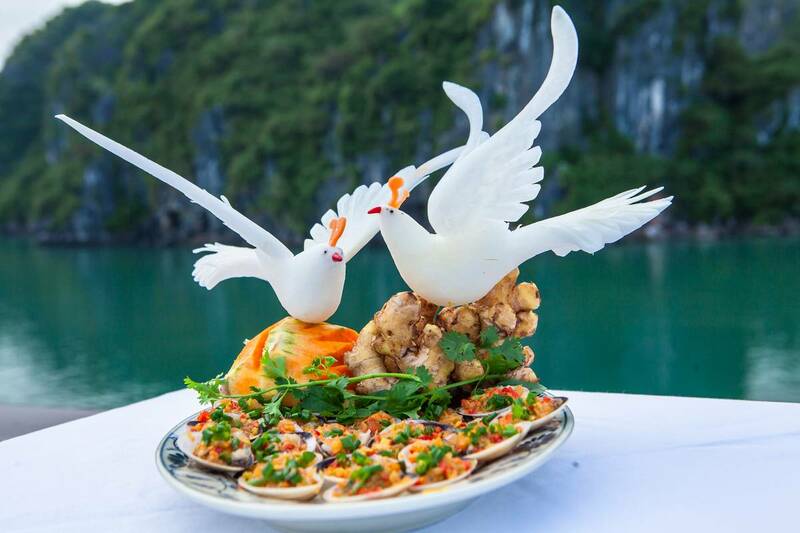 Especially, if you are looking for a Halong Bay cruise offering vegetarian foods, Dragon Legend is simply your perfect choice. Water Puppetry is full of joys, lighting and colors and surprises for the audience. It is one of Vietnamese tradition that referred to Vietnamese traditions by means of water puppets, like daily life of Vietnamese farmers (cultivating, tending buffalo, catching fishes…), communal entertainment (swimming contest, dragon dancing…), or historical legends. 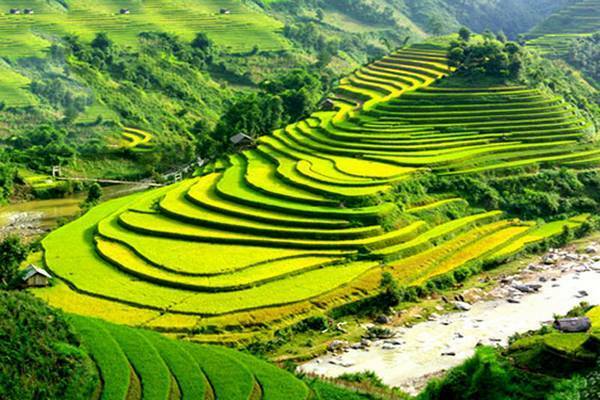 It tells of daily living in rural Vietnam and Vietnamese folk tales that are told by grandparents to their grandchildren. 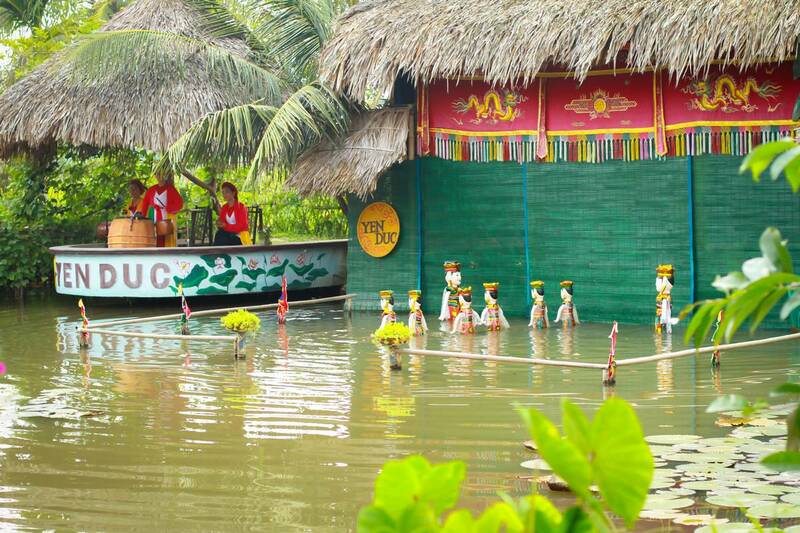 For visitors who choose Dragon Legend’s services: You will have a chance to enjoy water puppet show in Yen Duc village on the way back to Hanoi from Halong after your trip. 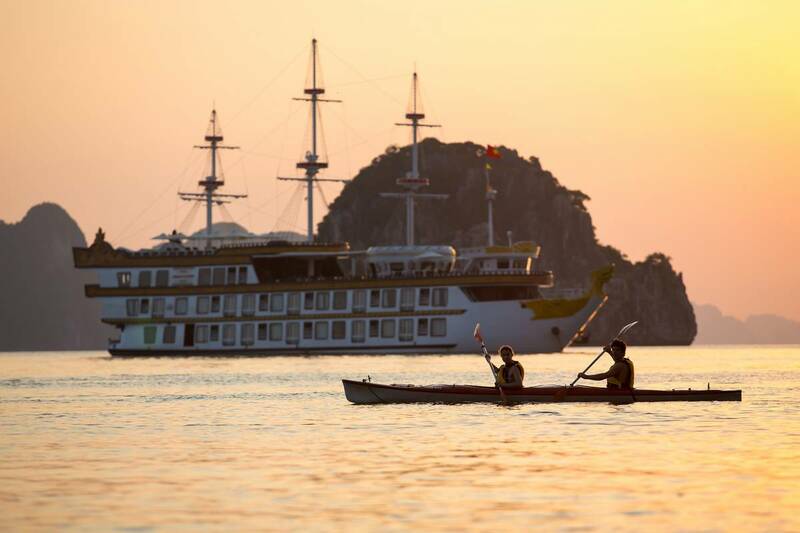 As one of the top tourism companies operating cruises on Halong Bay, Dragon Legend deeply understands that the sustainable development comes from responsible travel. Responsible tourism is the future of travel. 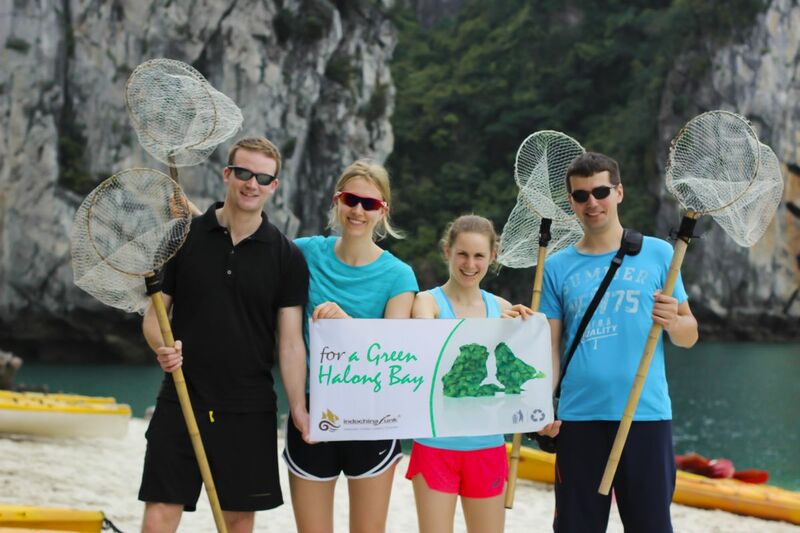 Since we developed the “For a green Halong Bay” program in 2007 to raise awareness of environment protection and local community support. The project of collecting rubbish on the sea water continues to be well implemented and achieves positive results. Our visitors appreciate this effort and always willing to join hand, support the project. In the fully sustainable approach and responsible travel practices, Dragon Legend cruise has received Travelife Partner Certification since Mar 2017 and an active member of The Responsible Travel Club of Vietnam (RTC).